We’ve all seen good ideas emerge in the software space – from objects, to components, to services, to domain models, and the *DD approaches. Yet, in most organizations, it is very hard for these ideas to get traction. I’ve heard from countless developers and architects over the years about their frustration in getting everybody else to go along with them. “Can’t they see how much better [new approach] is over what we’re doing now? !” they ask, believing that things could and actually would be evaluated on their merits, especially in a rational field like IT. The usual explanation I give has a couple of parts. An important corollary of that law is that if you wish to have a significant impact on the design of a system, you would need to have a similarly significant impact on the communication structure of the organization making that system. The main problem is that the people that tend to be pushing for DDD, IoC, CQRS, SOA, etc are usually not as strong when it comes to the soft skills that are so necessary for bringing about organizational change. The thing is that, at a minimum, these types of changes take 3 to 5 years so it really takes a long-term commitment, both from the individual and the organization. First of all, people are a whole lot less rational than they’d like to believe – or that they’d like other people to notice. In fact, people will go to great lengths to maintain the appearance of consistency and rationality, even at the cost of harm to themselves. 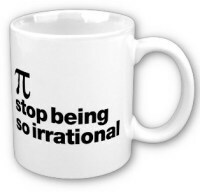 How’s that for irrational? Don’t take my word for it – there’s a great book on the topic: Predictably Irrational: The Hidden Forces That Shape Our Decisions. The somewhat scary thing about it is that not only are we irrational beings, but that that irrationality can be predicted and, yes, even manipulated. Once you can understand that the people you’re trying to convince aren’t Vulcan, you have a much better chance of being effective. I’d say that, for myself, understanding my own modes of irrationality increased my effectiveness as well, and made me quite a bit happier in life too. This isn’t me hawking my wares – believe me, I’m busy enough as it is, but let me know when this starts to sound familiar to you. There’s a problem in your organization – could be that you’re not delivering software fast enough, high enough quality, whatever. Suffice it to say that Management isn’t happy. You’ve been living this pain for a while and know exactly what the source of the problem is (more often than not, management has at least a hand if not a whole arm in it). You come up with some recommendations, bring them to the higher-ups, but ultimately are ignored, dismissed, or don’t even get into the room. Some time later, management brings in a Consultant (that’s right, with a capital ‘C’) who is there to figure out what’s wrong and come up with recommendations. In some cases, especially in larger organizations, they bring in a whole bunch of them from a brand name like McKinsey or Ernst & Young. If these guys are smart, they listen to you, ultimately presenting your analysis and recommendations to management. Of course, those higher-ups are in awe of how quickly these guys were able to understand the inner workings of their organization. That awe lends instant credibility to their recommendations which are then adopted and given powerful political backing. And you’re sitting there thinking, “but… but… but that’s what I was saying!!”. It’s not the message – it’s the messenger. Let me put it another way, explained from the perspective of management – we’re having problems, you work here, ergo you’re part of the problem. Also, you don’t make that much money (compared to management), so how smart could you be? Those brand-name consultants, well, they cost a LOT, so they MUST be good (good enough to know not to work here too). Therefore the more the consultant costs, the more likely management is to listen, which ultimately creates the conditions for success, which makes the change happen, which proves to management that they were right to bring in an expensive consultant. A vicious (or virtuous) cycle – depending on how you look at it. Now, it doesn’t always work this way, but it does often enough to perpetuate management’s world view. Some good books include Made to Stick: Why Some Ideas Survive and Others Die and the grandfather of the field: How to Win Friends & Influence People. There are countless others and there isn’t any right place to start – the most important thing to do is to start. It’s been over 40 years since Melvin Conway’s observation and, as an industry, we’re still relearning these things – usually through the school of hard knocks. But there is an upside here – I’m pretty sure that, knowing these patterns, you could pick up on some signals during the interviewing process and find a company that’s outgrown many of these issues – one that would be able to have more meritocratic discussions on technical choices. Are you a rock star architect? A programming champion? An expert in enterprise architecture and high-performance, event-driven systems? An authority on software development process and methodologies? Are you challenged by understanding the business problem and mapping out a clear path to solving it? Does leading a team to meet big obstacles head on excite you? If so, Bridgewater Associates wants you to help us revolutionize our mission-critical technologies. Architect, and subsequently help develop, Enterprise-scale Applications and Systems from the ground up. Help ThoughtWorks to continue to build robust, technically leading edge systems for clients, across a variety of domains that continually raise the bar in delivering business value. The full job listing can be found here, and you can also subscribe for the RSS feed. If you’re looking to recruit the kind of people who read my blog and others like it, take a look here. I’d also be happy to hear about anyone who found a job through this network and hear about their experiences. I think that covers the topic. It’s no secret that Korentec has been hiring at quite a pace recently to cope with the amount of work coming our way. On top of that, I’m looking for someone special, having solid technical skills and people skills. I’m in the process of ironing out the requirements for the position, finding an appropriate title for it, and everything that goes along with it. Until I get all the details down, I thought I’d describe (broadly) what’s involved. I have my hands full these days managing several .Net projects, consulting on other projects, and training. I’m looking for an apprentice to handle some of this load. This person will need to perform as technical lead on projects, be able to manage projects and teams, and, most importantly, create win-win situations for us with our clients on these projects. I don’t expect this person to have everything I’m looking for 100%. There will be time to learn, mistakes will be expected. What I need is for the internal drive to be there – always looking for ways to do things better, to improve our clients’ experiences with us, and to constantly be learning. If you think that you’d like to be my “go-to” person, enjoy working independently, are looking for opportunities to learn and grow, and have experience in leading projects both technically and managerially, then I want to meet you! Email me at: TheApprentice@TheSoftwareSimplist.com. Posted in Job Hunting | Comments Off on My "Apprentice"
The "A" in ACID stands for … acidicity? Any way, Gad Meir countered with a more relevant question that I think deserves to go into the hall of fame for candidates interviewing for an infrastructure position. The question is: “In what way is consistency maintained when performing a transaction against a single database that transfers money from one account to another?” Answers are welcome in the comments. I’ll post the answer – which only Gad knew – some time later. Posted in Job Hunting | Comments Off on The "A" in ACID stands for … acidicity? Have the “Professional Experience” section in the middle of the (first) page. Education above it, and keep it short. Nobody cares about your GPA. I’ve been getting some requests to put my (new) resume online. I’d have to translate it to english first, though, but I don’t really have the time. If your really want me to put an english version up, or even the hebrew version too, send me a trackback, or write me a mail. Well, haven’t I just been jumping from topic to topic lately! Resumes, object orientation, SOA <ack! /> I mean service orientation, TDD, and on and on. For no good reason I’m just going to keep doing it, because I just ran into a post that I had to expound on. Kathleen Dollard (of code-gen fame) talks about “Breaking into Programming” and gives some great tips for those just starting out. Why do I feel the need to expound on this? Because in the last week I had to interview 3 people who could have benefitted from those very tips. IMO, the bar for programming is really quite low. Nowadays, anybody can get a cheap pc, and start mucking around with Web Matrix and the like and call themselves a programmer. My problem is not with those just beginning, but those that already have some experience. For example, if you’re a GUI programmer, you MUST, MUST, MUST know about MVC (that’s model, view, controller). It has to be one of those things where if someone wakes you up in the middle of the night and says “Quick! What’s MVC?” you can spit it out right then and there. Now, I’m not saying that every UI has to be built using the MVC pattern, but you need to know what it is. There are many more examples, but I guess my point is this: anybody can hack out a bunch of lines of code, but that’s not what I’m hiring for. Patterns are super important. Learn them. Use them. If you’re in an interview, show which patterns you know and how you used them. About the whole issue about starting with objects or not, I guess that I’m ambivalent. But, (BUT!) I don’t hire people who don’t know how to do object oriented development. Not every piece of code needs to be OO, but, in that case, you need to know why OO doesn’t fit, and what else does. The bonus of all this stuff is this: it’s not technology dependent. OO has been around close to 25 years now, and it’s still being widely used. This is the stuff that it’s worth investing in, because, as we all know, too often the technology becomes outdated before we’ve really gotten a return on the investment we made when learning it. Reflecting on the things above, I think that these may be the steps a programmer would/should/might go through after getting through the basics Kathleen talked about. But, these are the things that will get you hired. Tip #1: 1 page is golden. If you can get everything relevant in 1 page, DO IT! If it ain’t relevant, it’s out! Nobody cares about your objectives! The one, and only, thing that you should be demonstrating with your resume is “What can I do for you”. After accepting the job at my current employer, Korentec, I remembered the HR manager mentioning that my resume sucked. At the time she told me I was busy with something else and didn’t really take it in. Later, I went to talk to her about what she meant. You see, I worked pretty hard on getting my resume just right so I was quite anxious to find out exactly what sucked. I won’t get into the details about what was wrong and how I fixed it, but suffice it to say that her tips really made the difference. Why do I tell you this? So that you, yes you, will realize that before you go job hunting again – either by choice, or not – you utilize this great resource you have at your disposal – the HR manager. I personally found it very interesting to hear the perspective of someone who has to go through tons of resumes, each day. One final thing, you may have the latest and greatest Word, or other text editor, and laid out everything just so on your resume, but a lot of HR managers don’t. So, when it comes time to cut the stack down to size (like, seven times a day) that really weird looking one probably will be the first to get hit by the ‘delete’ key. Keep to the simplest layout possible – tables don’t count ! After showing our HR manager my resume after incorporating her suggestions, well, let’s just say I’m itching to send out my resume to companies (even though I’m not looking for a job) just to see what a difference it made. Any other overlooked gems in your organization? Let me know!